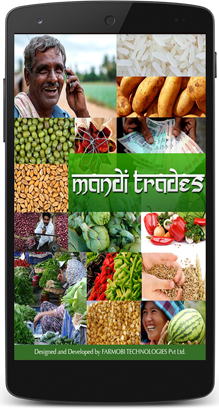 Mandi Trades, takes up the opportunity to revolutionize life for farmers through a mobile app, substantially designed for farmers residing in rural areas of India. 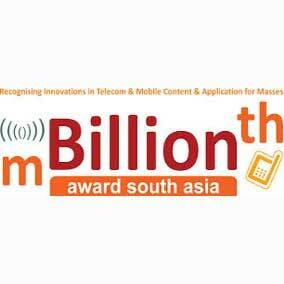 It’s a one step platform for Farmers where information about weather updates, crop prices, shop agri based products, selling their produce, agricultural news are all presented in one mobile application. This platform will link farmers and consumers within the agricultural value chain, easing management and communication about market data. 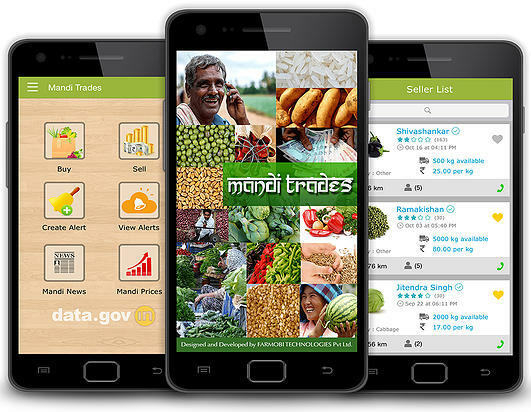 Farmers can now take informed decision regarding all the steps involved in farming, which includes selling their produce based on information on current prices, average demand, peak/low demand season, in and off season needs, rare items and their prices. For farmers, who often sell their produce to local traders or via middlemen, this could be an important breakthrough and maximize their profits. 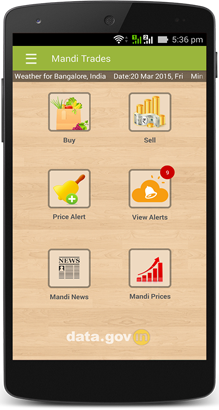 It’s a trading platform, helps to make available the local produce to the national market by connecting the farmers directly with buyers. 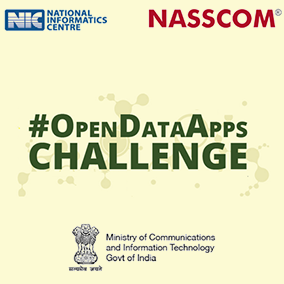 User can also discover and connect with nearby farmers directly. 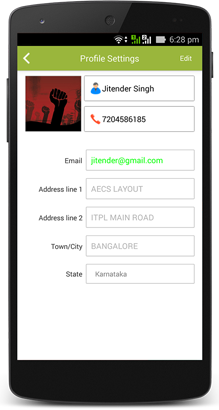 Farmers now have access to get details of dealers selling pesticides, seeds, fertiliser, machinery etc.. and also it gives a loan support for needy from well recognised banks and financial agencies. 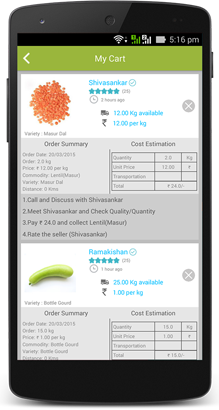 This is a handy tool for farmers who can now connect and compare prices and availability beforehand. 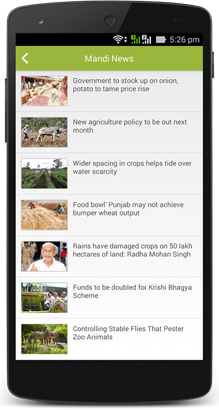 Agricultural news and weather forecasts keeps the farmer updated at all time which is essential in taking precautions and planning a better produce. Using location intelligence, user can get a map-based view of both buyer and seller info, along with the geographical proximity. 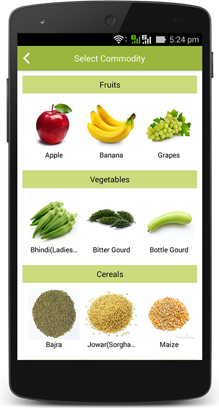 It is easy to contact farmers via the app. 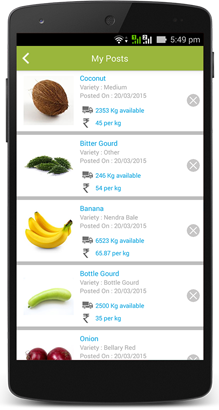 A farmer can post details of his crops directly from his smart phone. 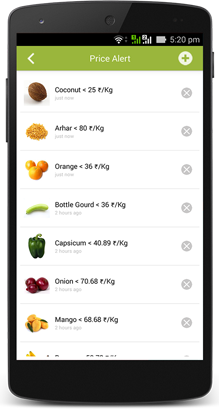 Buyers and Traders will be able to access the crops available locally within his location. The Location of the seller is automatically tagged while the data is posted in the System.